Ext. dim. : Radius 53” - Height 14” - 6” Thick. Int. dim. : Radius 41”. This ball pool, designed for tiny tots, has a high edge. 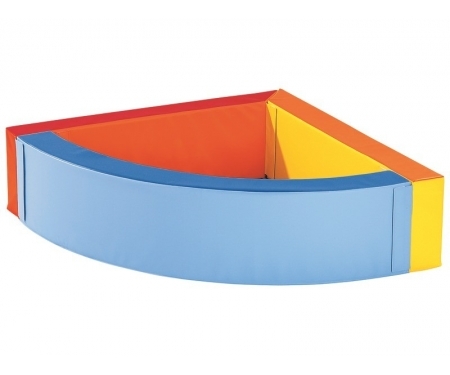 Consists of 3 sections and 1 base mat. Made of High density foam covered with a jersey-lined vinyl cover. 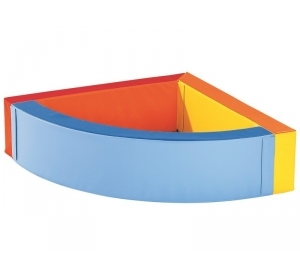 With its quarter circle shape this ball pool fits perfectly into a corner. Ideal Ball volume 2 cartons whatever diameter.